Let’s face it. When it comes to your credit—your purchasing power, your ability to buy a home or a car or to just get a small loan—the credit bureaus are very powerful. Just as powerful are the banks, collection agencies, and other businesses who furnish reports about you to the credit bureaus. Derogatory entries on your credit report like multiple late payments, default, non-payment, and past due balances can lower your credit score to the point where lenders won’t even give you the time of day. Too often, those derogatory entries are simply incorrect. We often see late payment entries for folks who’ve never been late; huge past due balances on credit cards or loans that were paid off long ago; “charge-offs,” or debt forgiveness entries, or fully discharged Chapter 7 or 13 bankruptcies, where the creditor is still showing a balance due on the old debt. Really, there are as many mistakes on credit reports as there are creditors and consumers and all of these mistakes can be very costly. You may have to pay an exorbitant interest rate for credit, or in a lot of cases banks and other lenders may simply deny your request for credit. And there’s nothing more frustrating than trying to fix an incorrect and damaging entry on your credit report by yourself. We’ve had clients who’ve spent countless hours on the phone with the bureaus and the creditors with no success. That’s where we can help. We have successfully used the civil suit provision of the Fair Credit Reporting Act (FCRA) to cut through the red tape and correct the mistakes on consumers’ credit reports, while also obtaining financial settlements for the damage caused by the incorrect reporting. We don’t fix credit; that is, we don’t negotiate with creditors or the bureaus regarding debts that are due and owing. But if there’s a mistake on your credit report (and that’s the case for about 20% of the population with a credit score), we may be able to fix it and get you compensated for it. 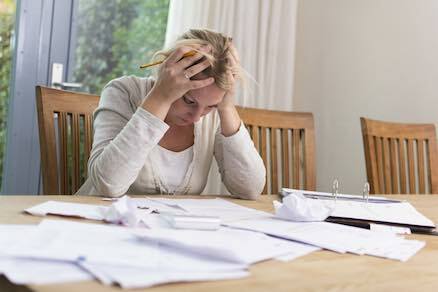 Do you think you’re the victim of questionable credit reporting practices? Contact us or call (502) 443-1060 for a Free Consultation. You can also fill out and submit the form below and we will be in touch soon.